If you are an active outdoors person, you can't afford to have a half-filled first aid kit in the event of an accident or injury. The Outdoor Sports First Aid Kit Refill Materials provides you with all of the supplies you will need as a back up to your existing kit. It's always better to be safe than sorry when facing the great outdoors. 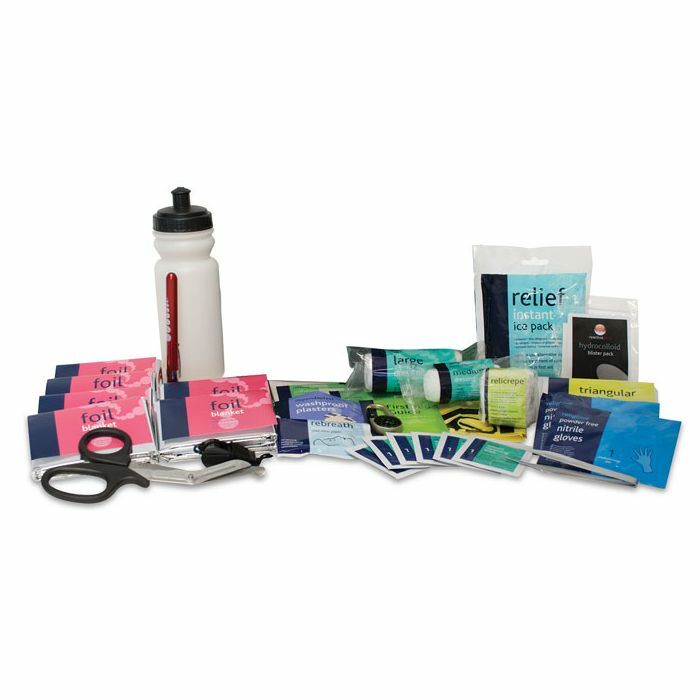 This refill kit includes a supply of backup first aid provisions and other outdoor items to immediately replace anything that has been lost or used up, providing you with peace of mind. What Refill Materials Are Included? The refill materials come in a shrink wrapped, recyclable carton to immediately replenish your existing kit, so no need to purchase a new bag. All items have been specially chosen for outdoor activities by professionals, and the first aid provisions have been HSE approved. The Outdoor Sports First Aid Kit Refill Materials are usually dispatched via First Class Royal Mail and delivery should be within 1 to 3 working days.